Brandy refers to the product of fruit distillation, though most people associate it with the spirit derived from grapes. 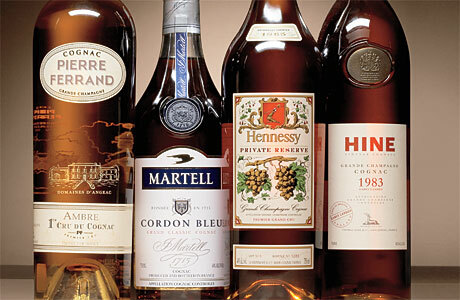 Depending on the region in France where it is produced, brandy may be further termed Cognac or Armagnac, for example. Brandy cocktails are some of my favourites, and I regularly stock a straight brandy (Marquis de Villard), Hennessey VS and Hennessey VSOP. The LCBO recently surprised me with a run of Pierre Ferrand’s Grand Cru, which copies a recipe from 1840. This is a totally different Cognac, somewhat gentler and more complex. I’ve been totally blown away and returned for a second bottle in the expectation it will quickly disappear. That said, despite its profound quality, it may not have the desired effect in recipes calling for VSOP. Tread lightly and experiment. Hine Cognacs have also recently become available at the LCBO. I am not familiar enough with them to make a recommendation. I also stock Armagnac and Cognac XO but have never used them to mix drinks. It can be soundly argued that Pisco belongs in this category as well. Invented in either Chile or Peru, depending on who you ask, it is totally different from French brandies and cognacs. The base spirit of the cocktail that bears its name, The Pisco Sour, is now stocked by the LCBO year around, thanks to the growing South American population in Ontario. I prefer and stock Pisco Aba from Chile, which I’ve found to be smoother and easier to mix with. Grappa is the Italian version of grape brandy but I’ve yet to come across a single cocktail recipe calling for this delicate and sophisticated spirit. It is almost certainly better to drink grappa on its own after a good meal. I prefer that made from gewürztraminer grapes, and the product made by Ransom is out of this world. 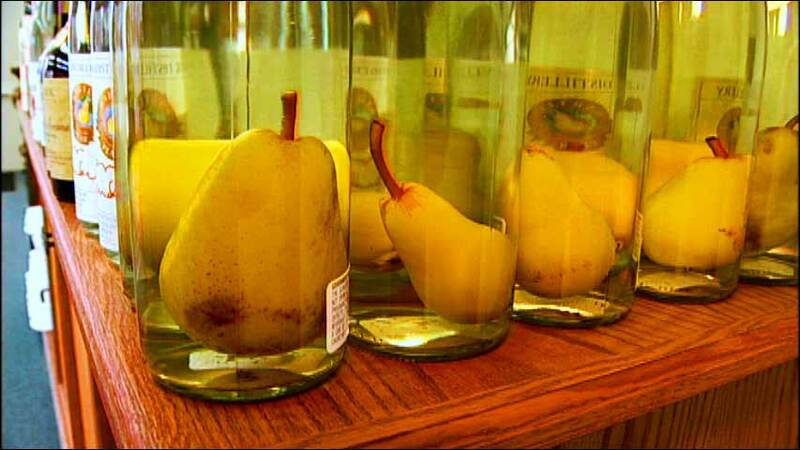 Most of the important fruit brandies for mixing can be found at the LCBO. These include plum (Slivovitz or Mirabelle), cherry (Kirsch), apricot, apple (Calvados) and pear (Poire William). That said, the world’s best brands are not available and you will have to put up with what is on offer. Of those, Kirsch and Calvados are most important. Clear Creek out of Oregon distills some of the world’s best fruit brandies but you will have to get them at the best liquor stores in the US. I own their blue plum, kirsch, poire William, Douglas Fir and Mirabelle (yellow plum) brandies. Opening the bottles of these beauties in an experience unto itself. Thankfully, Okanagan Spirits in BC also makes a wide variety of fruit brandies and liqueurs, and has reportedly been known to ship directly to Ontario (although the author definitely has no first hand knowledge of this). I also recently got my hands on a bottle of Blume Marillen apricot eau-de-vie and I think my life may have changed after my first sip. I might go to Austria just to visit this distillery. Laurent Cazottes line of eau de vies are superlative and justify the cost. Hans Reisetbauer’s products are also worth pursuing, especially the odd but phenomenal carrot eau de vie. Mette make great eau-de-vies as well. Laird’s Applejack is available at good stores in the US. I use their seven-year brandy when called for. Apples were widely available in North America to early settlers so it was natural that fruit brandies were distilled from the most common source of fructose. At one point there were nearly a hundred apple brandy distilleries in the eastern United States but as of the time of writing my understanding is the Laird’s is the last one still operating. There are differing opinions as to whether the French Calvados version can be substituted for American Applejack. Considering our limited resources in Ontario, we don’t really have the luxury of being picky.